Very often the operation of mobile work machines is significantly impeded by the lack of visibility due to engine rooms, moving booms and safety features obstructing the view. The project aims to create a digital system for work machines that diminishes occluding objects from the work environment, making them virtually transparent. 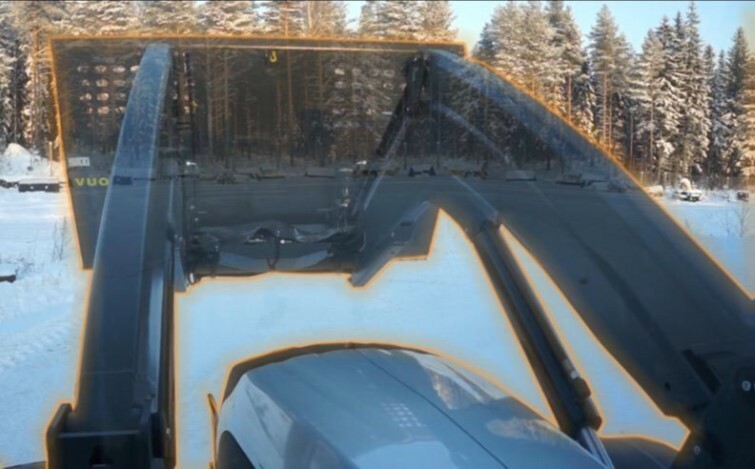 Digital see-through structures provide an unrestricted view around the work environment for the work machine operators in order to make the work safer, more efficient and productive. The developed technology is based on modern signal processing, 3D sensing and visualization methods. The system is developed with a focus on essential ergonomic, user experience and product development aspects.